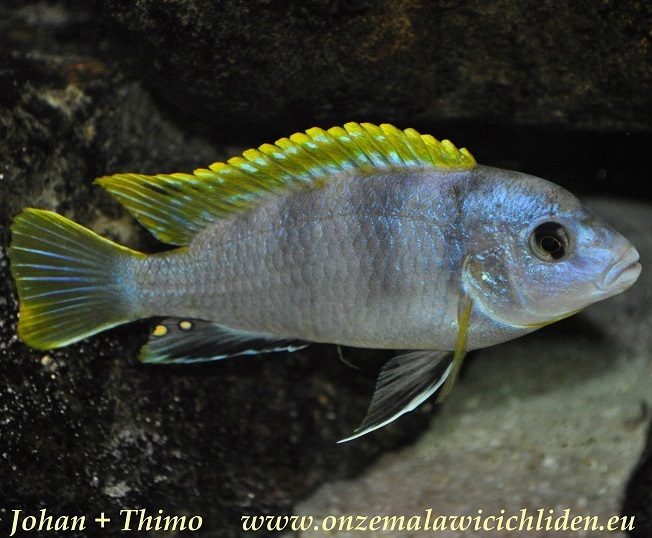 Labidochromis sp. 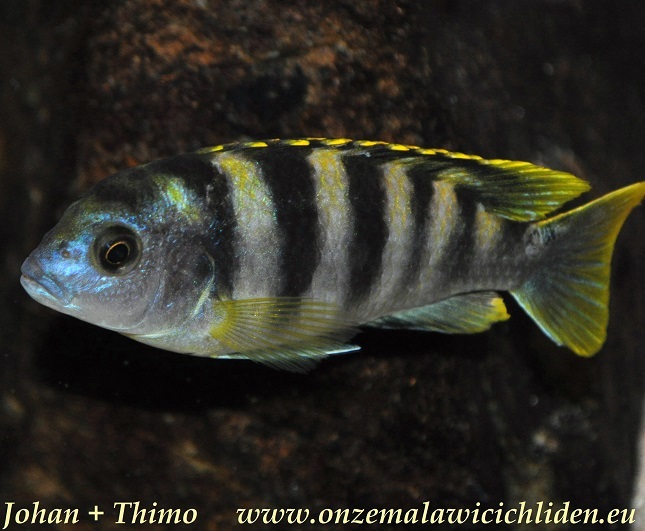 "perlmutt" is a very popular Malawi cichlid which is known in the hobby for many years now. 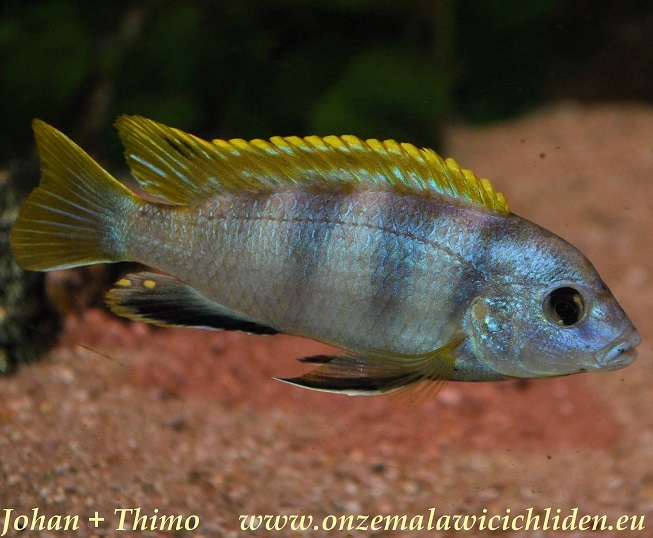 In the lake they can be found along the rocky coasts near Higga Reef, Ngkuyo Island and along the coast southern from Mbamba Bay (Chuwa). 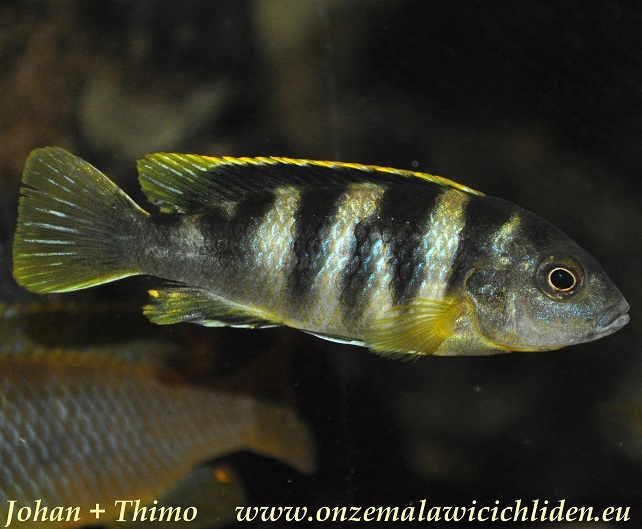 However, they don´t live there in large numbers but are very rare. This species doesn't become very large. 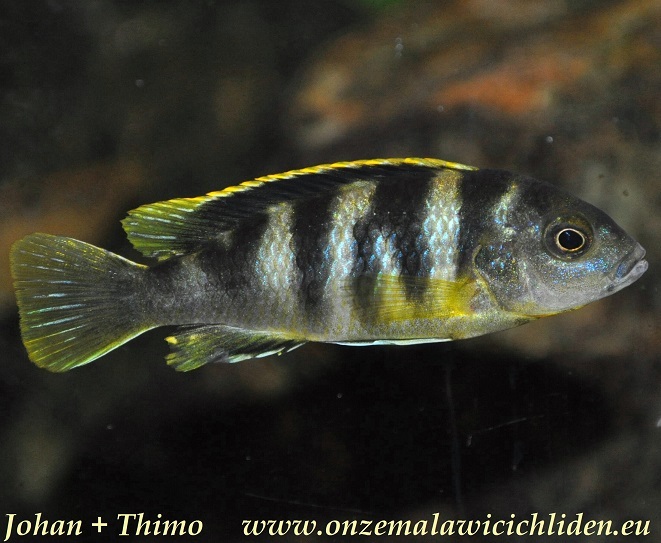 The male in my aquarium was about 10 cm, the females were much smaller, just 6 - 7 cm. 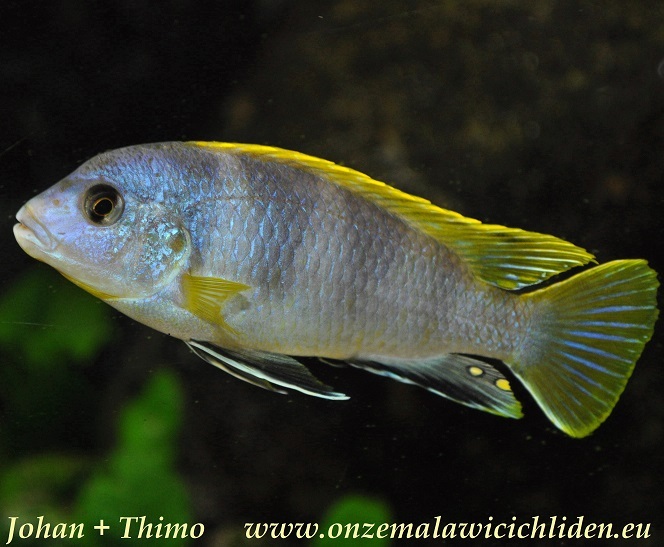 The male has a very beautiful remarkable yellow dorsal fin. 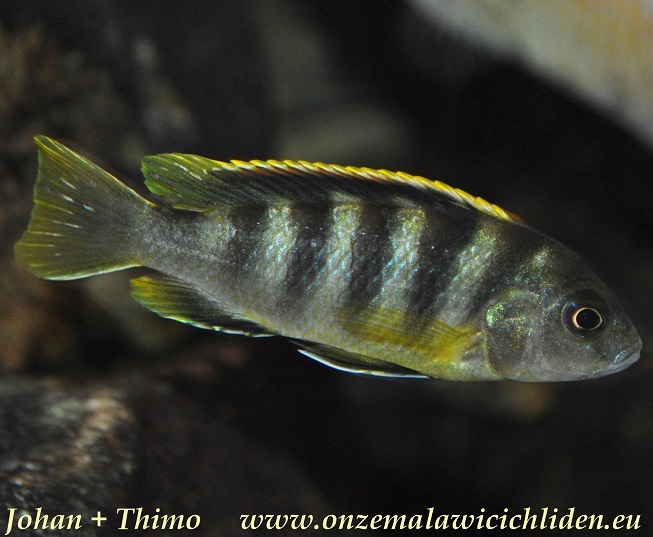 Labidochromis sp. 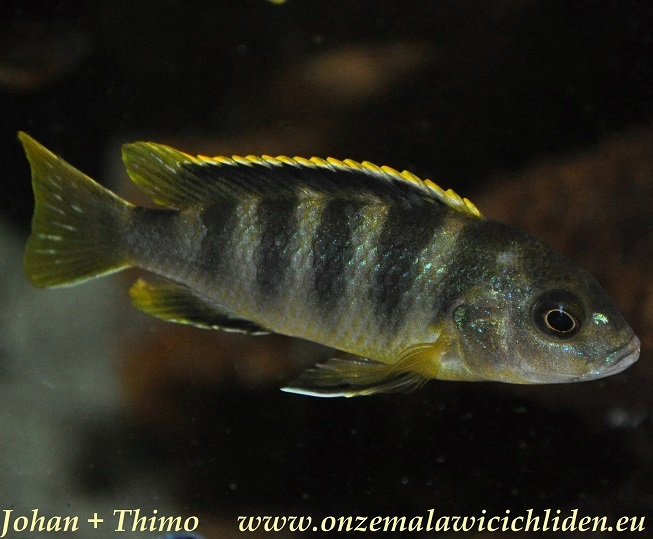 "perlmutt" is a peaceful cichlid, it only gets a bit more agressive in mating-season. 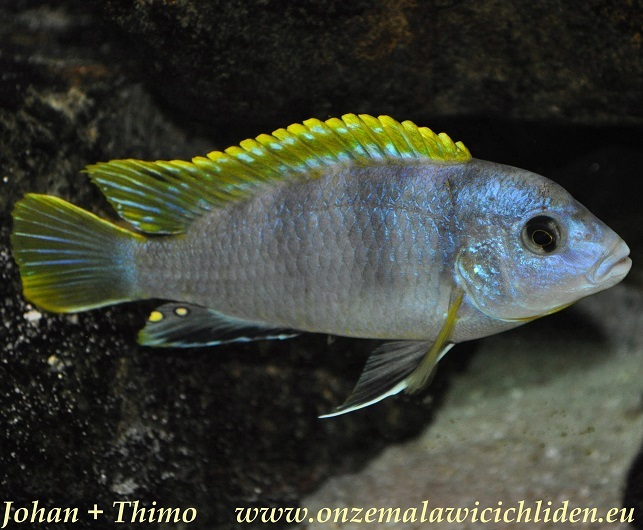 Then it defends a temporary territory (at least in my aquarium) in the back of my tank under a overhanging rock, where it digs a nice hole and seduces a female. 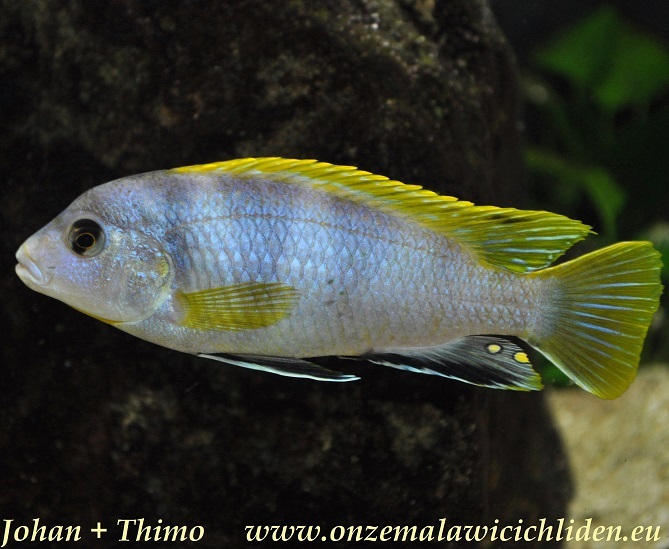 As soon as spawning is over he leaves the female alone and he doesn't really seem to care what other fish are doing. This species has been taken care of lots of younglings in this aquarium.